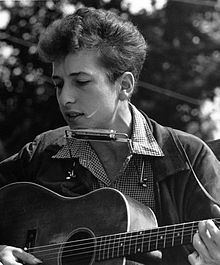 American singer-songwriter Bob Dylan has released 38 studio albums, 91 singles, 26 notable extended plays, 40 music videos, 13 live albums, 14 volumes comprising The Bootleg Series, 19 compilation albums, 13 box sets, 7 soundtracks as main contributor, 5 music home videos and 2 non-music home videos. Dylan has been the subject of 5 documentaries, starred in 3 theatrical films, appeared in an additional 8 films and 10 home videos, and is the subject of the biographical tribute film I'm Not There. He has written and published lyrics, artwork and memoirs in 11 books and 2 of his songs have been made into children's books. He has done numerous collaborations, appearances and tribute albums. The albums Planet Waves and Before the Flood were initially released on Asylum Records; reissues of those two and all others were on Columbia Records. Dylan has won many awards for his songwriting and performances, including the 2016 Nobel Prize in Literature for his entire body of work. For a list of these accolades, see List of Bob Dylan awards. Much of his music has been bootlegged; for an examination of this phenomenon, see Bob Dylan bootleg recordings. 1963 "Blowin' in the Wind"
1965 "The Times They Are a-Changin'"
1966 "One of Us Must Know (Sooner or Later)"
"Rainy Day Women ♯12 & 35"
1968 "All Along the Watchtower"
1969 "I Threw It All Away"
1971 "If Not for You"
1973 "Knockin' on Heaven's Door"
1975 "Tangled Up in Blue"
1977 "Stuck Inside of Mobile with the Memphis Blues Again (Live)"
1978 "Is Your Love in Vain?" 1979 "Love Minus Zero/No Limit"
1980 "Man Gave Names to All the Animals"
1985 "Tight Connection to My Heart (Has Anybody Seen My Love)"
1990 "Most of the Time"
1992 "Step It Up and Go"
2001 "Tweedle Dee & Tweedle Dum"
These are notable EP releases, mostly containing exclusive non-album tracks. See discogs.com for more foreign EPs that mostly contain just album version tracks or are just domestic promotional album samplers. 1978 4 Songs From "Renaldo and Clara" 4 US Promo 12"
2016 Melancholy Mood 4 Record Store Day exclusive Limited Edition red translucent 7"
1962 The Midnight Special Harry Belafonte Harmonica on "Midnight Special"
Carolyn Hester Carolyn Hester Harmonica on "I'll Fly Away," "Swing and Turn Jubilee" and "Come Back, Baby"
Three Kings and a Queen - Victoria Spivey Big Joe Williams "Sitting on Top of the World," and "Wichita"
Broadside Ballads Vol.1 Various artists Credited as "Blind Boy Grunt"; appeared on "John Brown," "I Will Not Go Down Under the Ground (Let Me Die in My Footsteps) with Happy Traum," "Only A Hobo" and "Talking Devil"
Broadside Ballads Vol.6: Broadside Reunion Credited as "Blind Boy Grunt"; appeared on "Train A-Travelin'," "Dreadful Day," "The Ballad of Emmett Till" and "The Ballad of Donald White"
1964 The Blues Project Credited as "Bob Landy"; played treble piano on "Downtown Blues"
David Bromberg David Bromberg Harmonica on "Sammy's Song"
Somebody Else's Troubles Steve Goodman Piano & Harmony Vocals as Robert Milkwood Thomas on "Somebody Else's Troubles"
1973 Roger McGuinn Roger McGuinn Harmonica on "I'm So Restless"
Doug Sahm and Band Doug Sahm Guitar and Vocals on "(Is Anybody Going To) San Antone," "Wallflower," "Blues Stay Away From Me" and Harp on "Me And Paul"
1976 Songs for the New Depression Bette Midler Duet with Midler on "Buckets of Rain"
1977 Death of a Ladies' Man Leonard Cohen Backing Vocals on "Don't Go Home With Your Hard-On"
1982 First Blues Allen Ginsberg Guitar and Vocals on "Going To San Diego", "Vomit Express" and "Jimmy Berman Rag"
1985 "Sweet, Sweet Baby (I'm Falling)" UK Single Lone Justice Writer and Harmonica on "Go Away Little Boy"
1986 Kingdom Blow Kurtis Blow Vocals on "Street Rock"
1988 Folkways: A Vision Shared - A Tribute to Woody Guthrie & Leadbelly Various Artists Vocals on "Pretty Boy Floyd"
Rattle and Hum U2 Vocals and Co-writer on "Love Rescue Me"
1991 Disney: For Our Children Various Artists Vocals on "This Old Man"
1994 Street Angel Stevie Nicks Guitar and Harmonica on "Just Like a Woman"
1995 Till the Night Is Gone: A Tribute to Doc Pomus Various Artists Vocals on "Boogie Woogie Country Girl"
1997 The Songs of Jimmie Rodgers: A Tribute Vocals on "My Blue Eyed Jane"
1998 Clinch Mountain Country Ralph Stanley & Friends Duet with Ralph Stanley on "The Lonesome River"
2001 The Sopranos: Peppers & Eggs (Music From the HBO Original Series) Various Artists Vocals on "Return to Me"
Timeless: Tribute to Hank Williams Vocals on "I Can't Get You Off of My Mind"
Good Rockin' Tonight: The Legacy of Sun Records Vocals on "Red Cadillac and a Black Moustache"
Not for Beginners Ron Wood Guitar on "Interfere" and "King of Kings"
2002 Kindred Spirits: A Tribute to the Songs of Johnny Cash Various Artists Vocals on "Train of Love"
Postcards of the Hanging Grateful Dead Vocals on "Man of Peace"
2003 Gotta Serve Somebody: The Gospel Songs of Bob Dylan Various Artists Duet with Mavis Staples on "Gonna Change My Way of Thinking"
2004 Enjoy Every Sandwich: The Songs of Warren Zevon Various Artists Vocals on "Mutineer"
2011 The Lost Notebooks of Hank Williams Various Artists Vocals on "The Love that Faded"
The Art of McCartney Vocals on "Things We Said Today"
2015 Dylan, Cash, and The Nashville Cats: A New Music City Four songs, including a previously-unreleased version of "If Not for You"
Bear and a Banjo Jared Gutstadt Lyrics for "Gone But Not Forgotten"
Bob Dylan: The 30th Anniversary Concert Celebration Laserdisc/VHS/DVD/Blu-ray (1993) #40 U.S. Note: This section lists only the films for which Dylan made new recordings, or films which use Dylan's previously unreleased material. Band of the Hand (1986); contributed "Band of the Hand"
Flashback (1990); contributed cover of "People Get Ready"
Natural Born Killers (1994); unreleased outtake of "You Belong to Me"
Feeling Minnesota (1996); contributed cover of "Ring of Fire"
Jerry Maguire (1996); contributed "Shelter from the Storm (Alternate Version)"
The '60s (TV movie) (1999); contributed duet with Joan Osborne of "Chimes of Freedom"
The Ballad of Ramblin' Jack (2000); contributed duet with Ramblin' Jack Elliott of "Acne"
The Sopranos - Peppers and Eggs (various artists, 2001) - contributed with a version of Dean Martin's "Return to Me"
Divine Secrets of the Ya-Ya Sisterhood (2002); contributed with "Waitin' for You"
Masked and Anonymous (2003); contributed with new recordings of three of his own songs and a cover of "Dixie"
Gods and Generals (2003); contributed with "Cross the Green Mountain"
I'm Not There (2007); unreleased song from the 1967 Basement Tapes, "I'm Not There"
NCIS: The Official TV Soundtrack - Vol. 2 (2009); unreleased song from the 1965 Bringing It All Back Home sessions, "California"
Hawaii Five-0 (TV series, 2011); unreleased song from the 1981 Shot of Love sessions, "Don't Ever Take Yourself Away"
Note: This section lists notable uses of Dylan's previously recorded material in films. More American Graffiti (1979); "Just Like a Woman" and "Like a Rolling Stone"
Where The Buffalo Roam (1980); "Highway 61 Revisited"
Forrest Gump (1994); "Rainy Day Women #12 & 35"
The Big Lebowski (1998); "The Man in Me"
Fear and Loathing in Las Vegas (1998); "Stuck Inside of Mobile with the Memphis Blues Again"
Another Day in Paradise (1998); "Every Grain of Sand"
The Sopranos (1999); "Gotta Serve Somebody"
High Fidelity (2000); "Most of the Time"
Blow (2001); "All the Tired Horses"
American Roots Music (2001); "The Times They Are a-Changin'"
Bandits (2001); "Tweedle Dee & Tweedle Dum"
The Royal Tenenbaums (2001); "Wigman"
Vanilla Sky (2001); "4th Time Around"
Moonlight Mile (2002); "Buckets of Rain"
Wonderland (2003); "Quinn the Eskimo (The Mighty Quinn)"
Martin Scorsese Presents - The Blues: A Musical Journey (2003); "Highway 61 Revisited"
Martin Scorsese Presents - The Blues: Godfathers And Sons (2003); "Maggie's Farm"
Songs And Artists That Inspired Fahrenheit 9/11 (2004); "With God on Our Side"
Songs Inspired By The Passion Of The Christ (2004); "4th Time Around"
Joe Strummer: The Future Is Unwritten (2007); "Corrina, Corrina"
Gonzo: The Life and Work of Dr. Hunter S. Thompson (2008); "Maggie's Farm" (live at the Newport Folk Festival) and "Mr. Tambourine Man"
Watchmen (2009); "The Times They Are a-Changin'"
Away We Go (2009); "Meet Me in the Morning"
True Blood Vol. 2 (2010); "Beyond Here Lies Nothin'"
The Help (2011); "Don't Think Twice, It's All Right"
Savages (2012); "Romance in Durango"
Not Fade Away (2012); "She Belongs to Me"
Boyhood (2014); "Beyond the Horizon"
St. Vincent (2014); "Shelter from the Storm"
Rock the Kasbah (2015); "Romance in Durango"
Mad Men (2015); "Don't Think Twice, It's All Right"
Steve Jobs (2015); "Rainy Day Women #12 & 35" and "Shelter from the Storm"
True Detective (2015); "Rocks and Gravel"
Bad Santa 2 (2016); "Winter Wonderland"
Bjoerner, Olof, "Bob Dylan: Still On The Road: Recording SESSIONS"
^ Sisario, Ben (October 13, 2016). "Bob Dylan Wins Nobel Prize, Redefining Boundaries of Literature". The New York Times. Retrieved November 29, 2016. ^ a b c d e f g h i j k l m n o p q r s t u v w x y z aa ab ac ad ae af ag ah ai aj ak al am "British certifications – Bob Dylan". British Phonographic Industry. Retrieved 2011-11-28. Type Bob Dylan in the "Search BPI Awards" field and then press Enter. ^ a b c d e f g h i j k l m n o p q r s t u v w x y z aa ab ac ad ae af ag ah ai aj ak al am "American album certifications – "Bob Dylan"". Recording Industry Association of America. If necessary, click Advanced, then click Format, then select Album, then click SEARCH. ^ a b c d e f g h i j k l m "Canadian album certifications – Bob Dylan". Music Canada. Retrieved 2011-11-28. ^ "ARIA Charts – Accreditations – 1998 Albums". Australian Recording Industry Association. Retrieved 2011-11-28. ^ "ARIA Charts – Accreditations – 2006 Albums". Australian Recording Industry Association. Retrieved 2011-11-28. ^ "Drake's 'Views' Still No. 1 on Billboard 200, Ariana Grande and Blake Shelton Debut at Nos. 2 & 3". ^ "ARIA Australian Top 50 Albums". Australian Recording Industry Association. May 30, 2016. Retrieved May 28, 2016. ^ "ARIA Australian Top 50 Albums". Australian Recording Industry Association. April 10, 2017. Retrieved April 8, 2017. ^ "ARIA Charts – Accreditations – 2009 Albums". Australian Recording Industry Association. Retrieved 2013-06-25. ^ "Bob Dylan Chart History". billboard.com. Retrieved March 16, 2018. ^ "Bob Dylan | full Official Chart history". Official Charts Company. Retrieved November 10, 2018. ^ Sodomsky, Sam (September 20, 2018). "Bob Dylan Announces New Blood on the Tracks Box Set". Pitchfork. Retrieved September 21, 2018. ^ "UK Top 40 Chart Archive, British Singles & Album Charts". everyHit.com. 2000-03-16. Retrieved 2011-11-28. ^ "Bob Dylan Singles Chart History". Billboard.com. Nielsen Business Media, Inc. Retrieved 2008-03-17. ^ "Dutch charts portal". dutchcharts.nl. Retrieved 2010-02-02. ^ "The Irish Charts". irishcharts.ie. Archived from the original on 2010-01-05. Retrieved 2010-02-03. ^ "Bob Dylan". discogs.com. Retrieved 11 March 2017. ^ "BobDylanVEVO". youtube.com. Retrieved 11 March 2017. ^ "Bob Dylan". rollingstone.com. Retrieved 11 March 2017. ^ "mvdbase.com - Bob Dylan artist videography". mvdbase.com. Retrieved 11 March 2017. ^ "Bob Dylan". imdb.com. Retrieved 11 March 2017. ^ "Jennifer Lebeau". imdb.com. Retrieved 11 March 2017. ^ "Elektra Album Discography, Part 2: EKL-100/EKS-7100 Series (1956-1967)". Both Sides Now Publications. Retrieved March 24, 2013. ^ "Bob Dylan Sings About Gay Love". nytimes.com. ^ Parisi, Paula (December 17, 2018). "Bob Dylan, T Bone Burnett Feature on Album by Americana Duo Bear and a Banjo (EXCLUSIVE)". Variety. variety.com. ^ "Is It Rolling Bob? A Reggae Tribute to Bob Dylan CD Album". ^ Kozinn, Alann (October 7, 2014). "The Most of Bob Dylan". The New York Times. Retrieved November 29, 2016.